We carry and install a variety of quality commercial products for your overhead door needs and dock equipment. For more information please click a link to the right or call our office at Davis Door Service during normal business hours. Call 817-572-2938 We repair all makes & models garage door and openers liftmaster garage door openers overhead door repair Broken Springs Arlington Tx, Dfw, Fort Worth, Southlake, Bedford, Collyville, Hurst, Eules. Residential Products Davis Door Service, provides complete residential services to meet your garage door and operator needs. 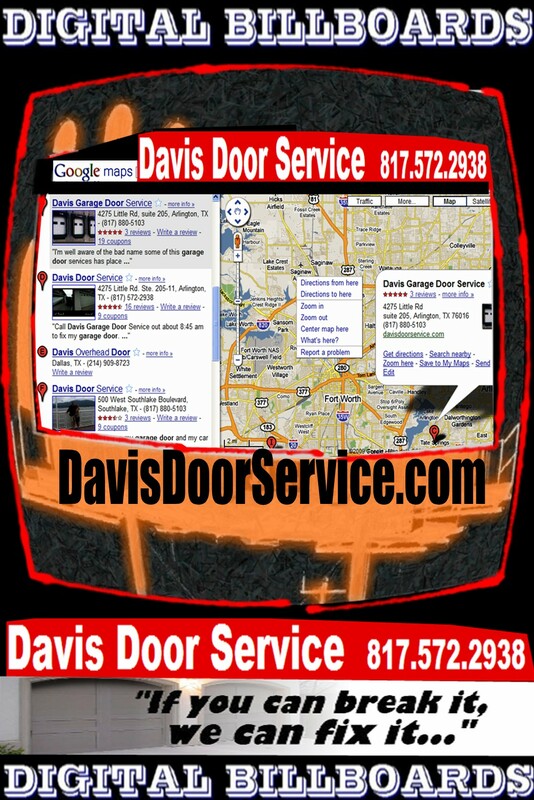 If you are having problems with your door or operators, please call Davis Door Service.